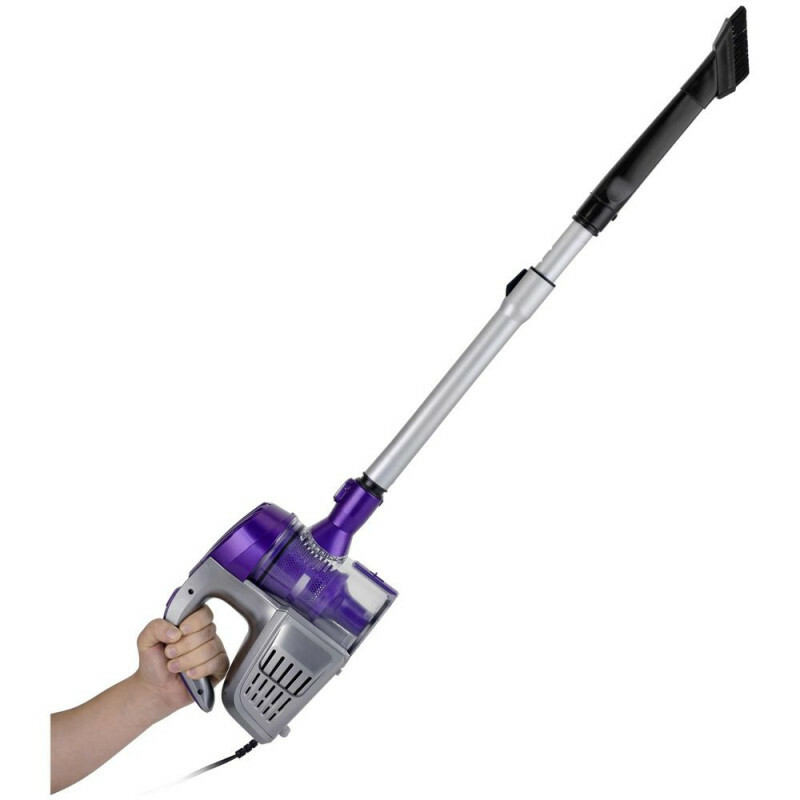 2 in 1 hand/stick design provides two vacuums in one for cleaning on and above your floors. 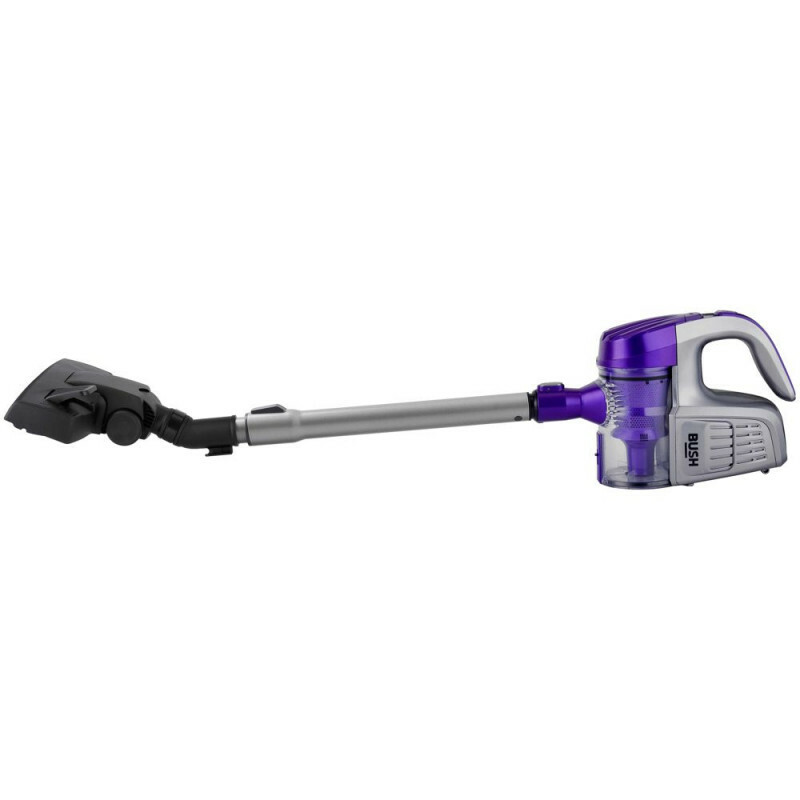 This bagless handheld vacuum cleaner by Bush is super lightweight and easy to use. Switch between hand-held and upright functionality and make use of the extendable crevice nozzle to get at those hard to reach corners. 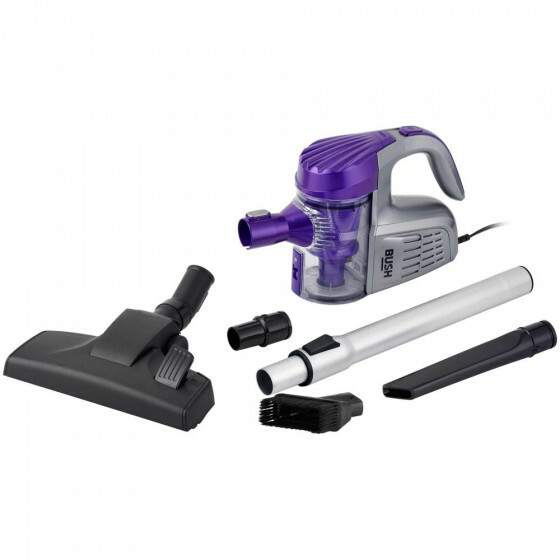 An easy to empty dust container and HEPA filter make this quality cleaner an excellent choice for your floors, stairs, sofas and chairs. The transparent, bagless dust container is easy to empty. Floor head for carpet and hard floors. Capacity of dustbin 0.4 litre. 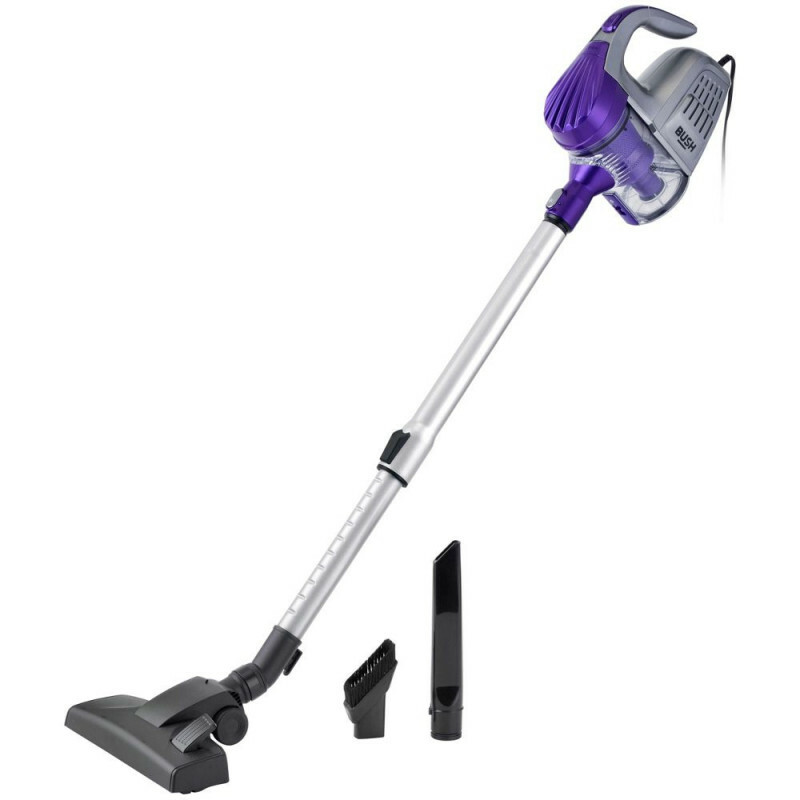 Includes crevice nozzle, dusting brush. Carpet pick up rating: E.
24 kWh usage per year.